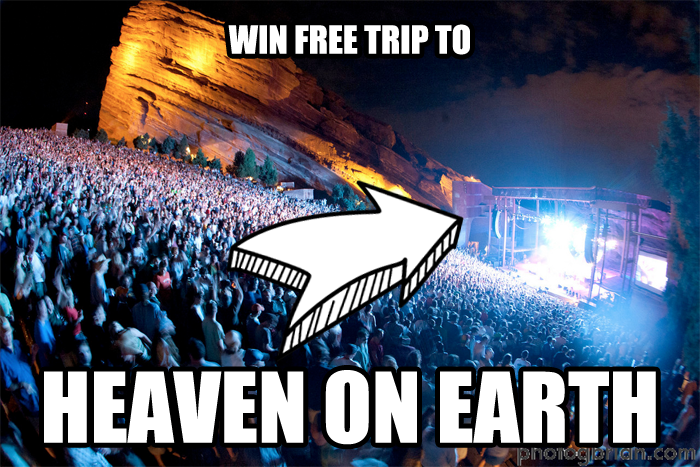 Here's your shot at scoring 2 tickets to each night of Widespread Panic's sold out run at legendary Red Rocks Amphitheatre! Each $5 entry goes directly to Nuçi's Space, a nonprofit musicians resource center in Athens, GA. Buy $100 worth of entries, and receive an event poster by artist EMEK and automatically earn double entries! Visit www.rocknraffle.com to enter, and remember to share the link after making your donation to increase your odds of winning. Two Gift Cards to a couple of Denver's best restaurants! Enjoy lunch, brunch or dinner at Rioja and Bistro Vendome downtown on Larimer Street. One Autographed Red Rocks Event Poster by EMEK and Event Tshirt. $500 Cash for Transportation to Golden Colorado and Red Rocks Amphitheatre.